Lou Yau – Taste of Malaysia (NEW ADDITION)! 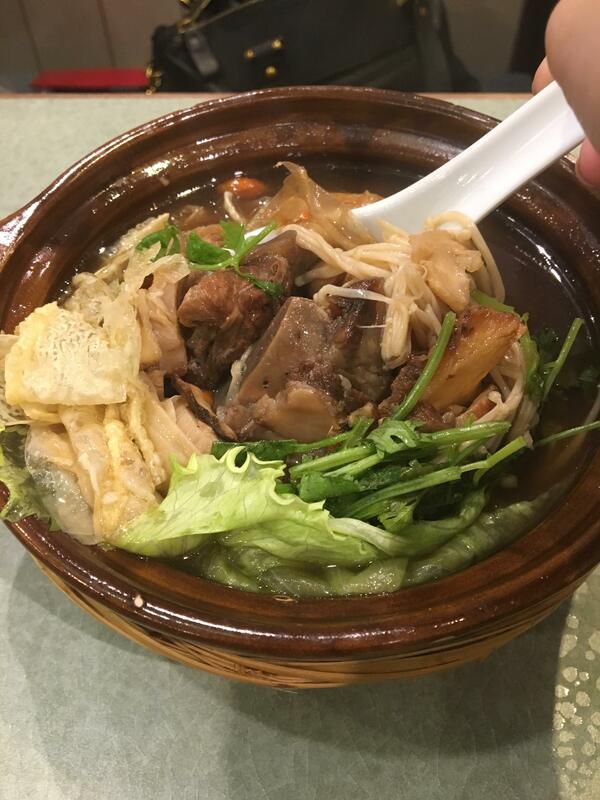 Lou Yau, under Select Group, partnered with Malaysian chefs used to serve Ipoh cuisines and has even expanded to various locations! 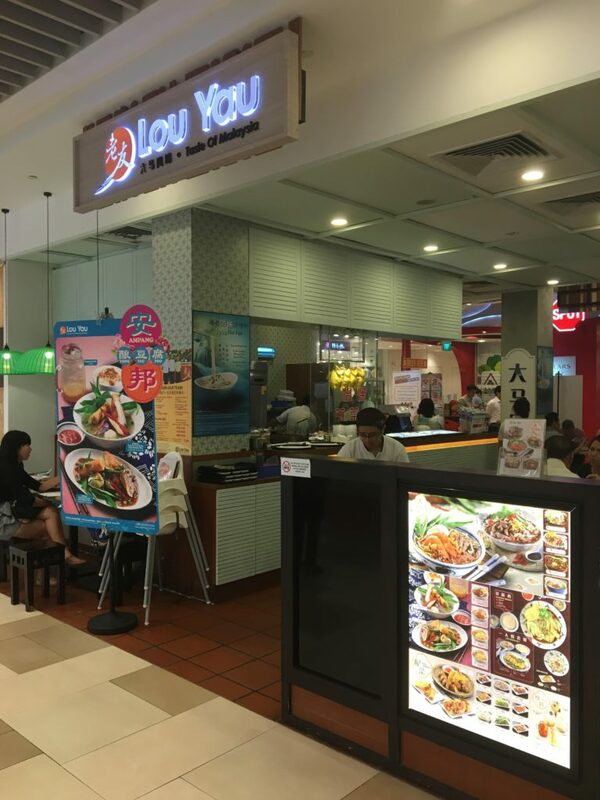 Its most recent addition is Lou Yau – Taste of Malaysia, whereby only this outlet at Bedok Mall serves a mixture of Ipoh, Penang, Kuala Lumpur, Klang, Sarawak, and Ampang cuisines. It is always crowded during lunch hours and it has gained a substantial amount of regulars for family meals. 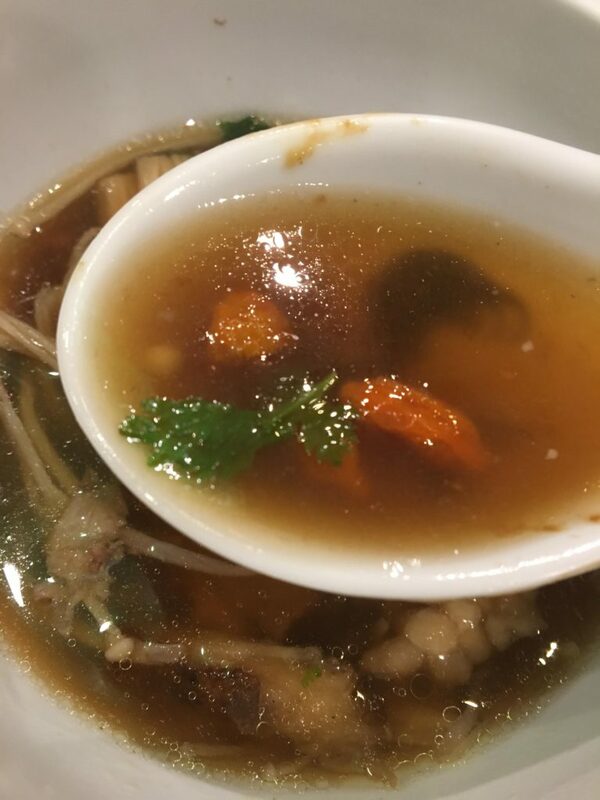 Below are the reviews of some of Lou Yau’s food items. It looks like a “Moonlight Mee Tai Mak” at first glance. But this “lardful” bowl is nothing like that. Personally, I’ve never tried Kuala Lumpur’s (KL) authentic claypot mee tai mak. However, trying Lou Yau’s Claypot Mee Tai Mak ($7.90) is a pleasant experience for me, though not very impressive. The sauce is just nice – not too dry or salty. Its lards when stirred thoroughly complement its mince meat in every mouth. I need to emphasize that they are really crunchy yet does not taste like lards so I did not feel guilty at all eating this. Its Mee Tai Mak is also complete and smooth. Even though I’ve never tried the authentic version, I know this pot lacked wok hei. There are no touches of burnt ends or claypot fragrance to it. 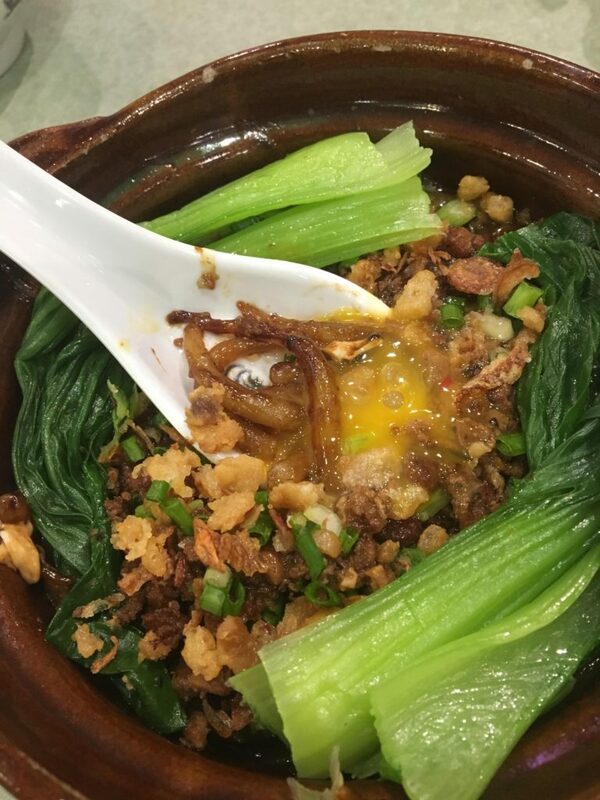 While Claypot Mee Tai Mak is supposed to be full of wok hei, Lou Yau chefs actually stir-fried its Mee Tai Mak before serving it on a claypot. 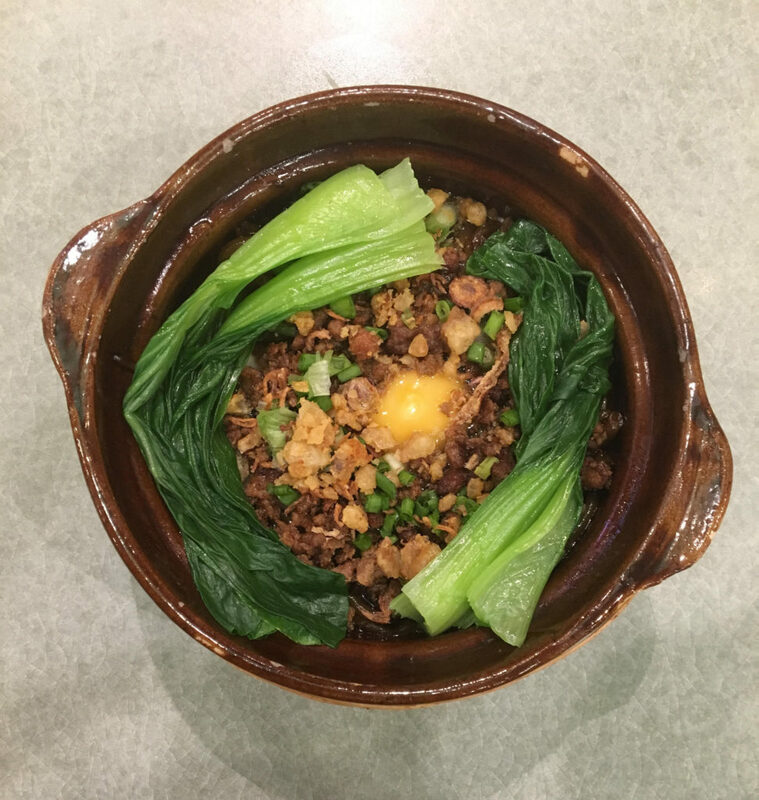 Lou Yau’s Claypot BKT ($8:50) has a mild herbal taste, boiled with Chinese Angelica (Dang Gui), Goji Berry (Gou Ji Zi) and other herbs. This can be a healthy choice on a rainy day. Lou Yau’s Yong Tau Foo ($7.90) is my favourite dish of all due to its sauce, though it is pricey. Totally forgot to take a picture of this because I couldn’t stop eating after the first mouth. This really simple dish stands out the most to me because its fermented bean sauce (豆瓣酱) complements the ingredients’ plain taste. Since all the food are fresh and boiled, adding this sauce is more than enough to satisfy one’s taste bud. I’m a fishball person, so when it comes to good fishballs, I need to share! Lou Yau’s Yong Tau Foo fishball (each plate only has one) is really fresh, bigger than typical fishballs, bouncy and QQ! I experimentally dipped it with the sauce and Lou Yau’s Kampung Chicken chili. HOHO, you should totally try this combination! Speaking of Lou Yau’s Kampung Chicken chili, its Kampung Chicken’s recipe is originated from Ipoh. 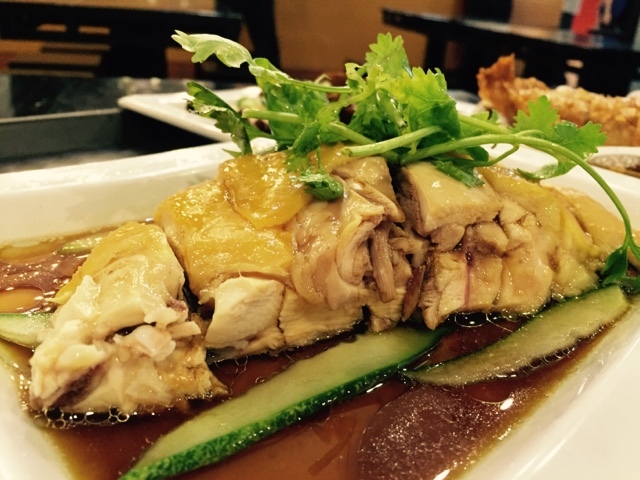 Thus, even the cooking style and the colour of the chicken skin is very different from Hainanese chicken. 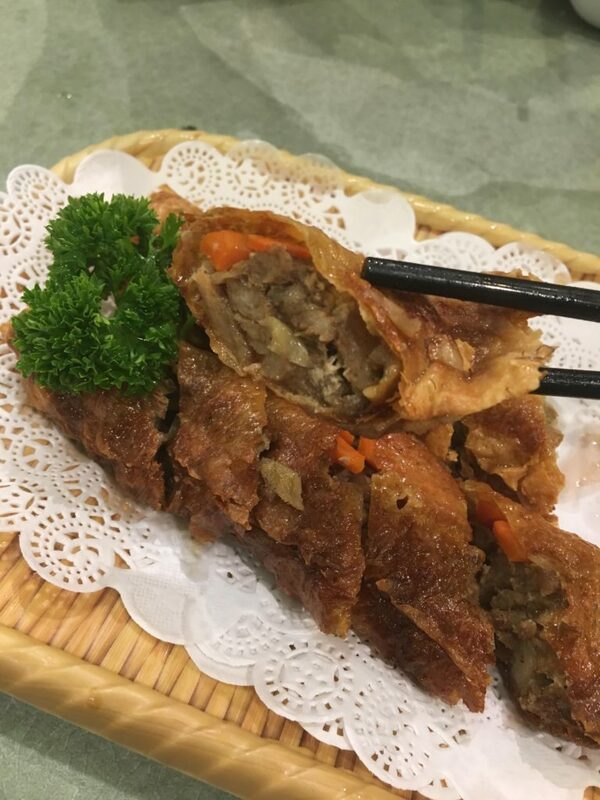 Personally, I do not consume chicken skin because it feels like jiggly fats to me (and I do not like the texture of fats in general), so let me talk about its meat. Though it is not the tenderest meat out there, its flavourful sauce matches well with its steamed chicken. Those who misses Ipoh food can give this a try! As the taste of Malaysia, Lou Yau offers Penang cuisines too! 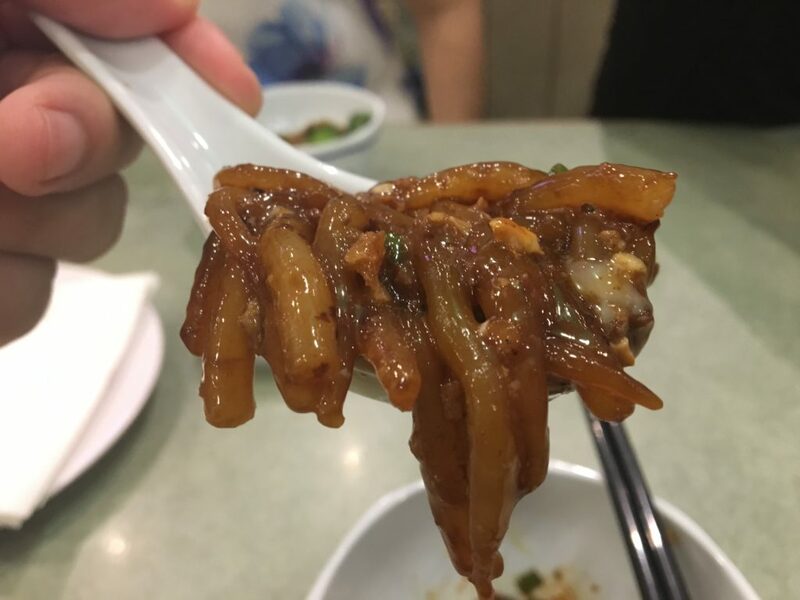 Thought this dish was Braised Pork Belly? I thought so too, but it is not! Apparently in Penang, Lor Bak refers to Ngoh Hiang (五香滷肉). Lou Yau’s Penang Lor Bak ($4.50) is a distinct experience for me. Personally, Singapore’s Ngoh Hiang is not very appetising to me when it’s filled with too much flour. However, Lou Yau’s Penang Lor Bak is filled with MEAT. 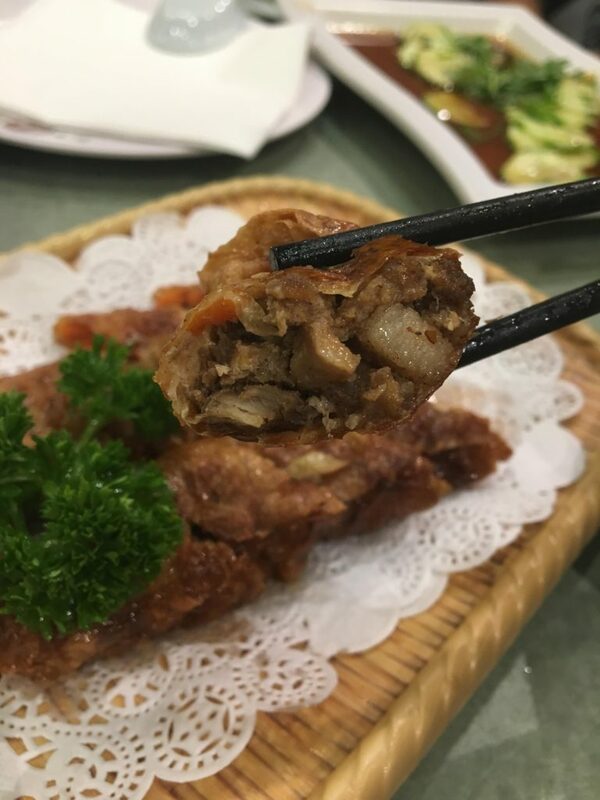 An entire braised meat is wrapped together with carrot and other ingredients with bean curd skin before deep-frying it. Cripsy and savoury! Check out its website here for more promotions and information!